The Brother DCP 310CN is great for printing at home and office, offering high quality prints thanks to cutting edge technology. 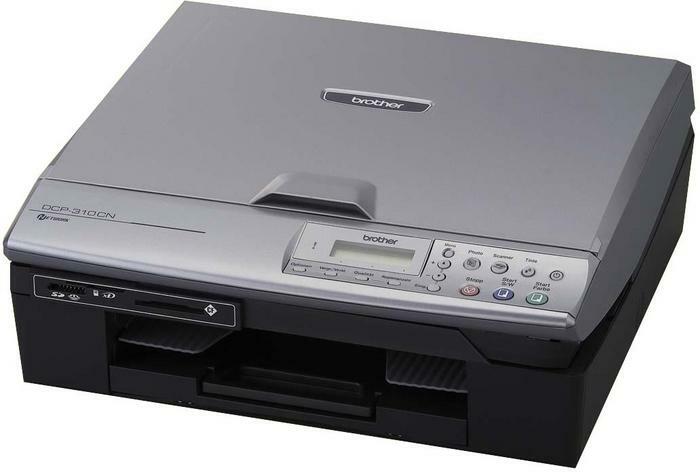 One of these weeks your Brother DCP-310CN will run low on printer ink, and when it does you'll soon note that ordering Brother DCP-310CN ink is generally a costly affair. Fortunately you don't have to get worried about forking out the steep costs you'll see on the high street because right here at Cartridge Save you can purchase all the Brother DCP 310CN cartridges you'll want at really competitive prices. Start saving money on your ink by buying with Cartridge Save! Why pay high prices for the DCP-310CN original cartridge or DCP-310CN compatible ink down the main street when you can quickly save some money ordering online with Cartridge Save. Enjoy one hundred per cent satisfaction when purchasing DCP310CN ink cartridges from us because they are all protected by a quibble-free money back guarantee. Don't forget to take into account that every single order has free delivery, usually delivered to you the following business day! Aimed at home offices, the Brother DCP-310CN is one of Brother's innovative inkjet printers, boasting a scanner and a copier in one compact and fairly lightweight device. The overall design and functions make the Brother DCP310CN printer suitable for a small office looking for a fast and efficient machine to increase productivity, but users might be disappointed with the sluggish scanner and the so-so monochrome printouts. The sleek metallic body makes the Brother DCP-310CN colour inkjet standout from the previous multifunction units released by Brother. The control panel is located on the right-hand corner on top, with a small LCD display screen for ease in viewing the printer's status. The Ethernet port at the back is a good addition for networking, while the built-in card readers are conveniently located in front. The flatbed scanner occupies most of the topmost space of the DCP-310CN, while the bottom-most part is home to the 100-sheet input and 25-sheet output trays. The Brother DCP310CN multifunction printer is praised for its professional finish that makes it a good addition to a small or home office. Furthermore, the Brother DCP310CN all-in-one printer is network-friendly and versatile, capable of directly printing from and saving to memory cards. Monochrome printouts look satisfactory and fairly fast, at up to 20ppm. Users can multi-task easily with the Brother DCP 310CN, enabling them to save time and improve productivity. The Brother DCP-310CN is not the fastest device around as scanning time is slow for a small 6x4-inch photo in 600dpi resolution. However, because the quality of photos and graphics is good you could argue that these are worth waiting for. Scan output often appears inconsistent with the original as the Brother DCP-310CN inkjet printer struggles in identifying fine colour gradients. Speed is also an issue, as the DCP-310CN still runs on a limited 16MB RAM.